Nebraska enters Saturday’s game against Minnesota not only looking to get back on track after two road losses, but also looking to seal the deal with multiple top prospects. Nebraska currently has confirmations for five official visitors. The official visitor list went through several changes earlier this week, as multiple targets that had been planning to visit changed their plans. Aaron Banks, a 4-star offensive tackle out of California, was scheduled to visit this weekend but has had to cancel due to his school having a playoff game. Elijah Blades, a 4-star cornerback out of California, has also re-scheduled his official visit to next weeks game against Maryland. And finally, Jamari Peacock, a 3-star running back out of Florida, cancelled his visit to Nebraska and committed to Virginia shortly after. 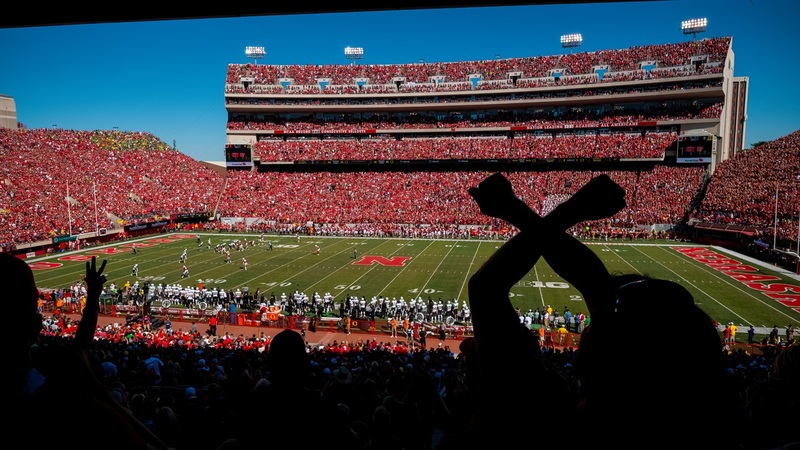 Not all is dark and gloomy though, as Nebraska gained three new visitors on Monday. Starting off the visitor list is the guy that I believe is the most likely to commit to Nebraska over the weekend. Quran Hafiz, a 6-1, 170 pound cornerback out of Jacksonville, will be taking his fourth official visit of the cycle to come watch Nebraska play against Minnesota. He is a prospect that Nebraska got an assist in recruiting from current cornerback Chris Jones, who alerted the coaches about Hafiz’s abilities and helping lead to the talented prospect receiving a Nebraska offer. One team that has emerged as a possible dark horse in Hafiz’s recruitment is Miami (FL), as Hafiz was seen on the sideline for the Hurricanes' game against Pittsburgh. If Miami does offer, it will likely lead to a very intriguing two man race between Mike Riley and Mark Richt for Hafiz’s signature. Hafiz fits the mold of a boundary corner for Nebraska, as he has tremendous length and speed that will allow him to be put out on an island and still remain effective. Hafiz also has the added benefit of being an early enrollee, meaning that he can enroll in classes this January and participate in spring ball in 2017. If Nebraska wants it—they were believed to be slow playing Hafiz a bit earlier this season—then I believe the Huskers will win his commitment this weekend. Hafiz was thrilled to receive his Nebraska offer earlier this season and has a great relationship with Jones. Things are moving quickly between Kamren Curl and Nebraska, as the talented safety prospect set up an official visit to see Nebraska just hours after receiving an offer from the Huskers. Curl had been committed to Texas Tech since late June, but decommitted on October 26. At this point, it appears that Nebraska’s biggest competition for Curl is TCU, a school that continued recruiting him despite his commitment to Texas Tech earlier this cycle. Nebraska is in need of at least one safety with Nate Gerry set to graduate and Curl would be a tremendous fit at free safety for the Huskers while also continuing to solidify their recruiting footprint in the state of Oklahoma. Curl is my dark horse commit option, as he set up an official visit to see Nebraska almost immediately after receiving an offer, a telling sign of how interested he is in the Cornhuskers. Nebraska has one remaining opening for a linebacker in its 2017 class, and Jaquan Henderson may be the man who takes it. The 6-1, 210 pound Henderson is currently committed to Tennessee, but the Volunteers' disappointing season and Butch Jones’ less than solid job status has led to him looking around as signing day approaches. Henderson has already visited Michigan State for its game against Michigan as well as unofficially visiting Tennessee for its game against Alabama. With Rhayme Johnson looking more and more like an Oregon lock, Henderson has emerged along with Andrew Ward as Nebraska’s top remaining target at outside linebacker. Henderson will be taking the trip along with his teammate, highly touted 2017 wide receiver prospect Jeremiah Holloman. The latest addition to Nebraska’s visitor list against Minnesota is Noah Elliss, a massive defensive tackle prospect from Colorado. Elliss, a nose guard from Colorado powerhouse Valor Christian, has held a Nebraska offer since last May and has been one of John Parrella’s top priorities to fill the final opening at defensive tackle in the 2017 class. Elliss visiting is a bit of a surprise to me, as it appeared that he and Nebraska were going separate ways after the Huskers hosted Damion Daniels for an official visit earlier this season, but Nebraska has jumped back into the race for the massive tackle target. The 6-3, 320 pound Elliss is raw, but he has ideal size and strength to play nose guard as well as the NFL pedigree from his father, former Utah all-American and 1st round pick Luther Elliss. Going forward, I would expect Nebraska to remain in the thick of things for Elliss’ commitment, with Utah, Oklahoma and Louisville being the other main contenders. Rounding out Nebraska’s official visitor list for the Minnesota game is Covington, Ga., wide receiver Jeremiah Holloman. Holloman has been one of Keith Williams’ top targets throughout the 2017 cycle, as he is one of the most athletic wide receiver prospects in the southeast. Holloman currently holds 46 FBS offers, including tenders from Tennessee, Michigan and Alabama. Holloman has already officially visited Miami (FL) and Notre Dame, but the biggest competition for Holloman’s signature at this point appears to be Georgia. The bulldogs have already hosted Holloman twice for unofficial visits this season. Holloman’s recruitment will likely hold out until signing day, but Nebraska did tremendous work to get him on campus this late in the season.